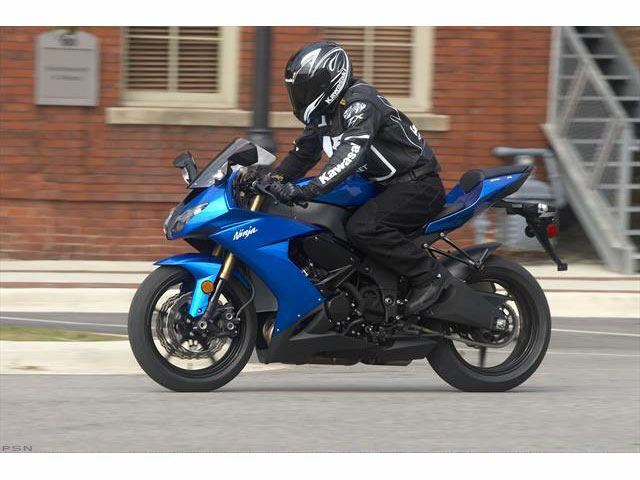 This new 2008 Kawasaki Ninja ZX-10R Motorcycle for sale has 19918 miles. The color is Lime Green. It is offered for sale by Formula One Motorsports and located in Oakdale, NY. The listing # is 37766. 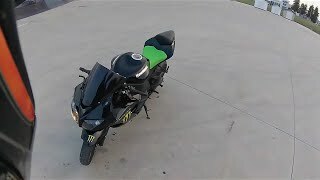 Ninja ZX-10R KAWASAKI&apos;&apos;S 2008 NINJA ZX-10R SUPERBIKE IS POISED FOR COMPETITION Factory superbike talent in a street savvy performer. For the 2008 NINJA ZX-10R, Kawasaki engineers aimed for an ideal superbike with engine and chassis performance capable of satisfying professional racers, combined with top-notch streetbike qualities for mainstream riders. It&apos;s a delicate balance, but these aren&apos;t your average engineers. 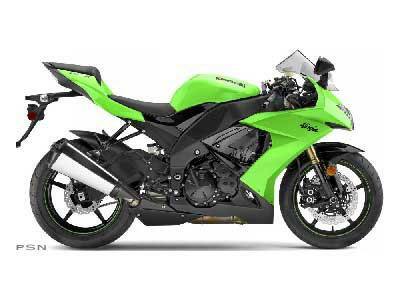 They&apos;ve been directly involved in the development of every 600- and 1,000-cubic-centimeter supersport machine since the 2003 Ninja ZX-6R, plus Kawasaki&apos;s factory Superbike racing efforts, so they have the know-how to deliver the goods. The result is an exceptionally communicative machine that provides the clean two-way rider / machine dialog demanded by professional racers. Placing the ZX-10R in the racing crucible and applying lessons from that unforgiving environment resulted in an ideal balance to satisfy the most demanding of riders. 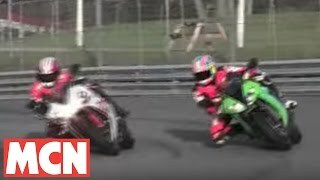 Japanese Superbike racer Akira Yanagawa was the man pushing the engine and frame components to the limits of their performance in actual competition. Parts that met with Yanagawa&apos;s approval were then tried on the production test bike, tweaked, retested on the racer and adjusted again. 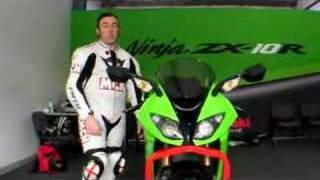 This process was repeated throughout the development cycle for the all-new 2008 Ninja ZX-10R. The average price of a 2008 Motorcycle for sale is $6626.56. This model is priced $1372.44 more. The average price of a 2008 Kawasaki Motorcycle for sale is $4730.15. This model is priced $3268.85 more. The average 2008 Kawasaki Motorcycle for sale has 17219 miles. This model has 2699 more miles. 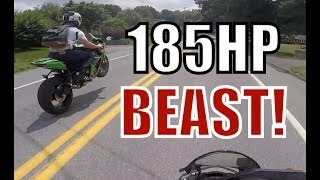 There are 1185 Kawasaki Motorcycles for sale within 150 miles of Oakdale, NY. 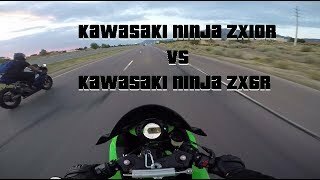 If you looked at the average 2007 Kawasaki Motorcycle for sale it would cost $4043.70 less. 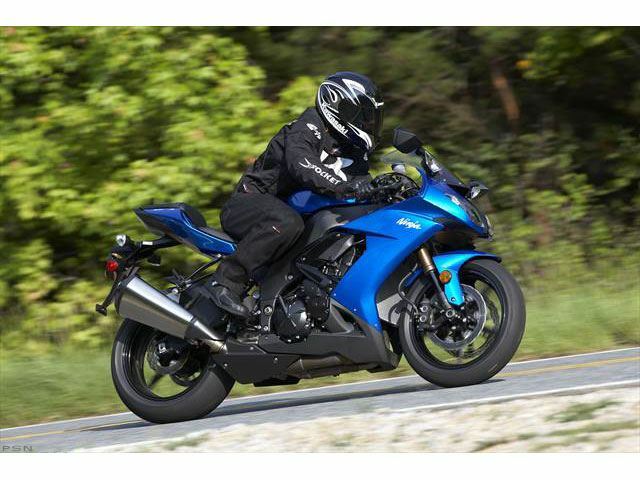 If you looked at the average 2009 Kawasaki Motorcycle for sale it would cost $3654.22 less. 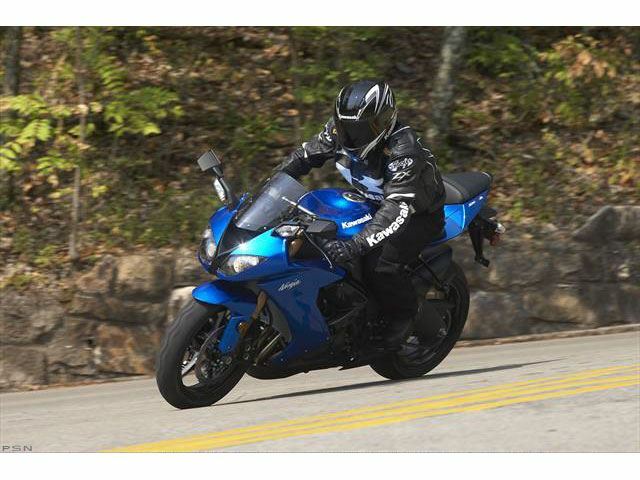 The average price of a 2008 Kawasaki Ninja ZX-10R Motorcycle for sale is $7290.57. This model is priced $708.43 more. 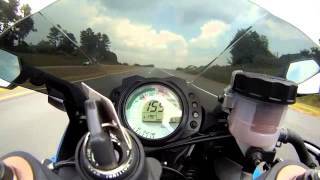 The average 2008 Kawasaki Ninja ZX-10R Motorcycle for sale has 18549 miles. This model has 1369 more miles. 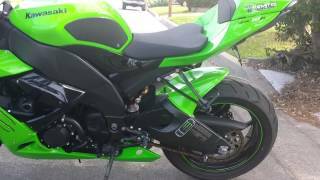 There are 18 Kawasaki Ninja ZX-10R Motorcycles for sale within 150 miles of Oakdale, NY. 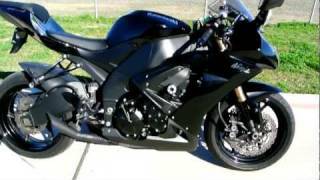 If you looked at the average 2007 Kawasaki Ninja ZX-10R Motorcycle for sale it would cost $2000.00 less. 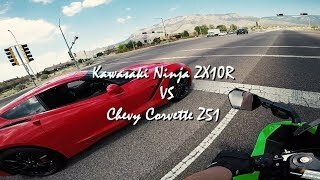 If you looked at the average 2009 Kawasaki Ninja ZX-10R Motorcycle for sale it would cost $1356.50 less. 2. 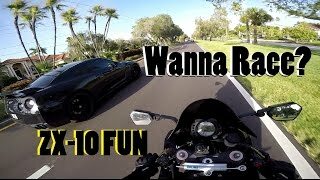 2008 Kawasaki ZX-10 Highway Fun!